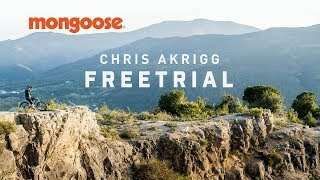 Chris Akrigg heads back to Barcelona Spain riding freetrials to finish what he started on the first Mongoose Espana Team Trip. Chris pulls out his trail and trials Skills on his Mongoose Teocali on the roots, trees, rocks and dirt of Spain. An Akrigg film is always a good watch. He uses terrain in ways most of us riders do not think about and could ride with that type of style in the first place. This is always inspiration for the next ride and discover new ways of riding the terrain in our own back yards.